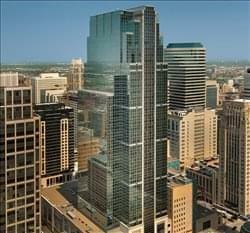 Find My Workspace lists over 95% of the executive office suites market in Minneapolis. Simply click Request Quote to check pricing for one office, or Add to Basket for multiple offices. This center is located just blocks away from the theatre district and sports stadium, in a historic building that has been renovated with a modern twist. Accommodating 1-100 people teams, this center is in a perfect place to facilitate your companies size and growth. 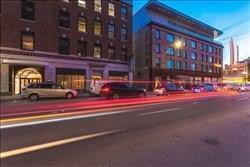 There is 24/7 Access, Fiber Internet & Wifi, All Utilities Included, Fully Furnished, Skyway Access, Free Espresso Bar/Beer On Tap, Company Logo Display, and On-Site Staffing 9-5 (M-F). Enjoy access to numerous bars, restaurants, and other local business within minutes walking distance. This is a great place to make new connections and learn about business topics, whether at a Happy Hour or Lunch & Learn event. Built in 1916, the four-floor LaSalle Building offers private offices, coworking space, and office suites with an on-site parking lot and attractive red-brick exterior. This center will have all-inclusive, which means you won’t pay extra for any of the essentials to running your business: Office furniture, direct fiber internet and WiFi, 24/7 secured access, taxes and utilities, and your company logo displayed prominently are all included with rent. Plus, you’ll enjoy free access to great amenities, which include local craft beer on tap, an espresso bar, and fantastic lounge spaces. The communities are a great place to make new connections and learn about business topics, whether at a Happy Hour or Lunch & Learn event. This modern workspace offers a variety of options for both established companies and growing businesses with both collaborative workspace as well as glass private offices to cover a variety of business needs. This center with floor to ceiling windows offers members beautiful views of the city skyline with fantastic on-site amenities such as huddle rooms, mothers rooms and elegant lounge and relaxation areas. Members also benefit from the on-site cafe, which serves great coffee and local snacks to keep you going throughout the business day. With 24-hour access, this center is ready ready for work whenever you need it to be. The on-site amenities are everything you need to get through your working day, and include; professional meeting rooms, conference facilities, super-fast WiFi, designer office furniture, reception services, printing and copying facilities and postal facilities and mail handling. The center is designed to inspire, there is an abundance of natural light, and you will work in the vicinity of like-minded creative thinkers – this center is suited to a number of different business types. On offer, there are private serviced offices, as well as coworking spaces and virtual office options. All are available with flexible terms, and all-inclusive billing for utilities, making the payments for your office more manageable. This center is located in one of Minneapolis’ fastest-growing neighborhoods and offers both private and co-working office options. Members have access to many on-site amenities such as craft coffee, a state-of-the-art fitness center and bike storage. The striking design and charm of this building bring a modern twist to the beautifully designed workspace. 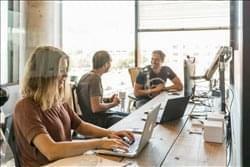 The space also gives members access to private phone rooms for confidential calls, conferencing rooms, break-out and common spaces as well as a mother’s space. To obtain information for your selected Minneapolis Executive Office Suites, please tick the "Add to basket" box for each office you prefer and complete the form below. We will then send a detailed report via email.